The chair of the advisory committee on the safety and security of vulnerable women, former B.C. Lieutenant-Governer Steven Point, has resigned from the position, Minister of Justice and Attorney-General Shirley Bond announced Friday in a press release. Point accepted the position in December last year with a mandate to address the recommendations made by the Missing Women Inquiry. The devastating report concluded that police would have done more to find serial killer Robert Pickton if his victims had not been poor, marginalized women. The recent private court case launched by members of some missing women's families against Pickton could mean any comments made by Point may be used in court, Bond explains. "This would have placed an impossible burden on Mr. Point to avoid making statements that could be misinterpreted or be used in or influence the course of litigation," she says in the press release. "I have accepted the resignation of the Honourable Steven Point from his position as chair of the advisory committee on the safety and security of vulnerable women. His last day will be May 30, 2013. 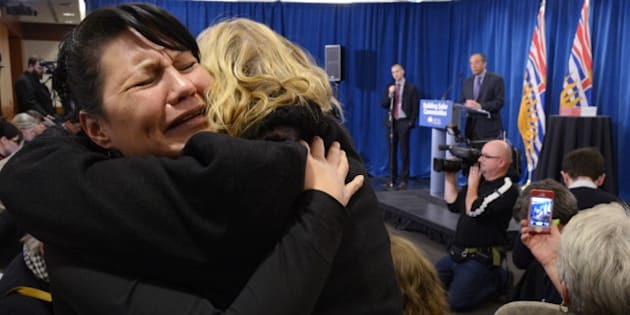 "I appreciate the decisions of the four families of missing women who have chosen to pursue civil suits related to the Pickton case, but I am disappointed that the no doubt unintended consequences of these claims have led Mr. Point to conclude that he must step aside. "When matters proceed to court, the litigation process takes precedence over all other related processes. The plaintiffs have put Mr. Point on notice that, in his role as chair of the advisory committee, his comments and remarks may well become evidence in the course of the litigation. This would have placed an impossible burden on Mr. Point to avoid making statements that could be misinterpreted or be used in or influence the course of litigation. "As well, this pursuit of litigation will impact the government's current process in responding to the recommendations from the Missing Women Commission of Inquiry (MWCI), and we now have to analyze how we will continue to move forward while the court case is underway. "That said, I can tell you that our government remains committed to creating a legacy of safety and security for vulnerable women. We have always known that necessary changes won't be easy and they wouldn't happen overnight. "I want to thank Mr. Point for the work he has done to date as a champion for implementation of the MWCI recommendations, and I know the foundation he has built in the past five months will serve us well as we move forward within the constraints of our ability due to these active civil suits. "As Attorney General and due to the legal sensitivities of this situation, I am unable to make any further comment at this time."